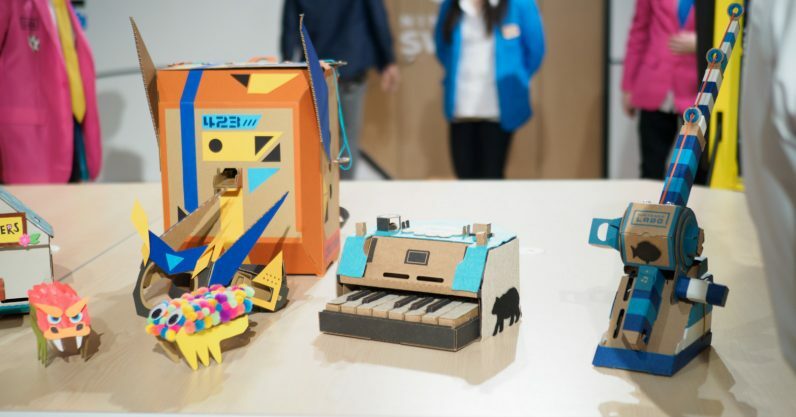 When Nintendo first announced Labo – a series of minigames based on DIY cardboard accessories – gamers reacted with a mixture of confusion and excitement. But even though the accessories (called Toy-Cons) felt surprisingly sturdy in our hands-on, cardboard just isn’t a material designed for durability. Considering the two existing Labo kits cost $70 and $80, we worried replacing Labo parts would break the bank. Turns out it’s not so bad if you only need to replace a few components at a time. In addition to the full kits, Nintendo now sells cardboard and accessory packs for different parts of each kit. Prices for parts of the Robot Kit, which costs $80 in its entirety, range from $1.99 if you only need a few extra stickers, to $14 if you need to rebuild the robot’s main body. Prices for the Labo Variety Pack are similar. You could technically save a few bucks on a full kit by building the Toy-Cons from parts, but that wouldn’t quite work as the rest of the money goes into the software component of Labo. Still, it’s nice to know there’s a solution available if you crush you Toy-Cons in the frenzy of gameplay. It’s hard to wrap my head around paying so much money for a pack of cardboard, but the creativity behind the Toy-Cons is worth it. You can read our first impressions of Nintendo Labo here.